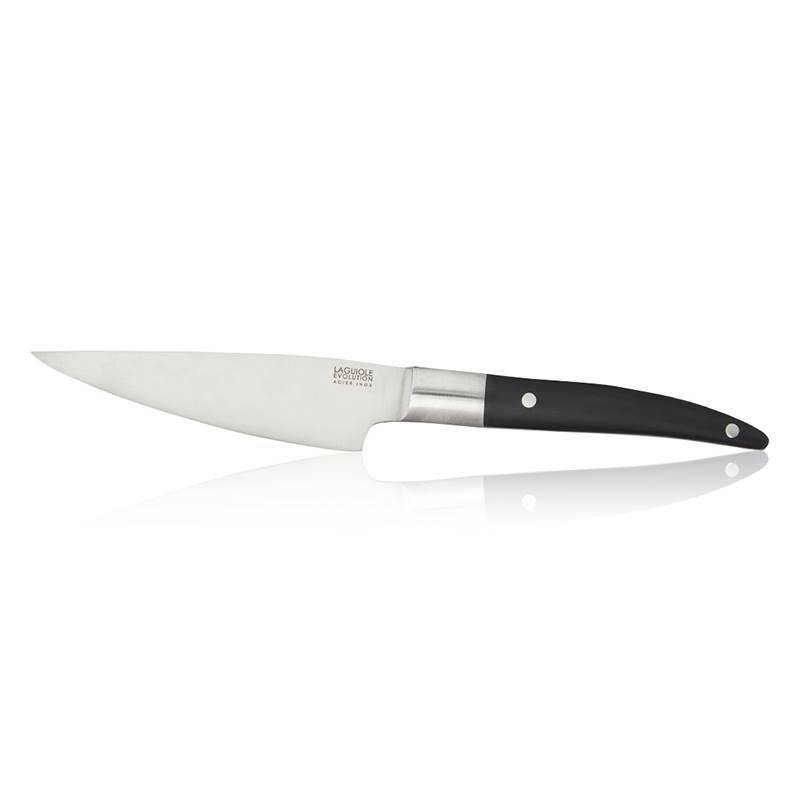 The graphic shape of this slicing knife is directly inspired by the traditional Laguiole knives which lines and manufacturing quality are worldly renowned. Easily recognisable, the ergonomic shape of the polymer handle offers great manoeuvrability and pleasant comfort of use. 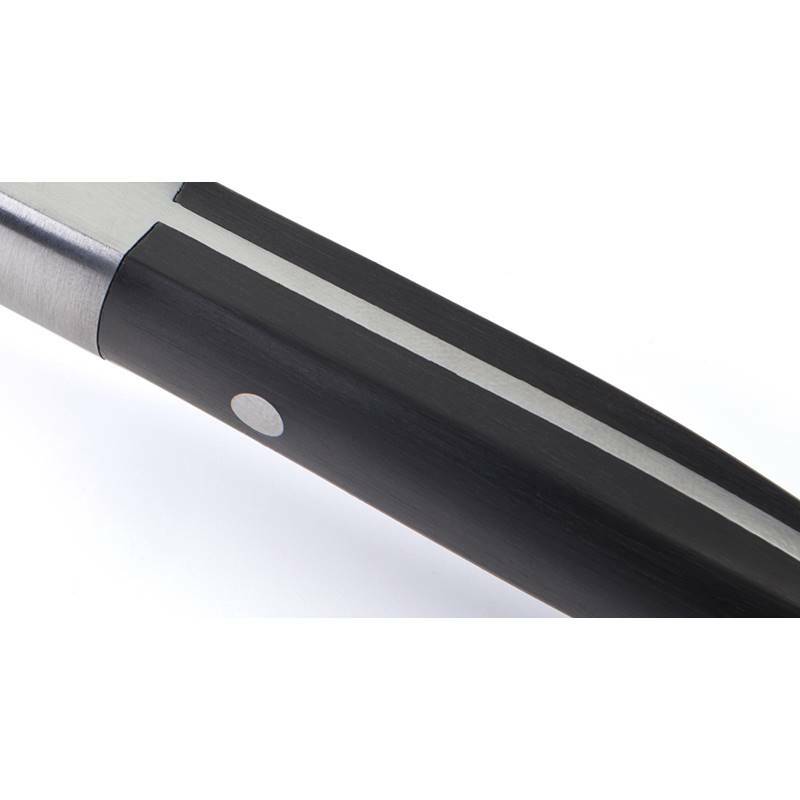 The solid tempered stainless steel blade of this design knife ensures great durability and high resistance to humidity. 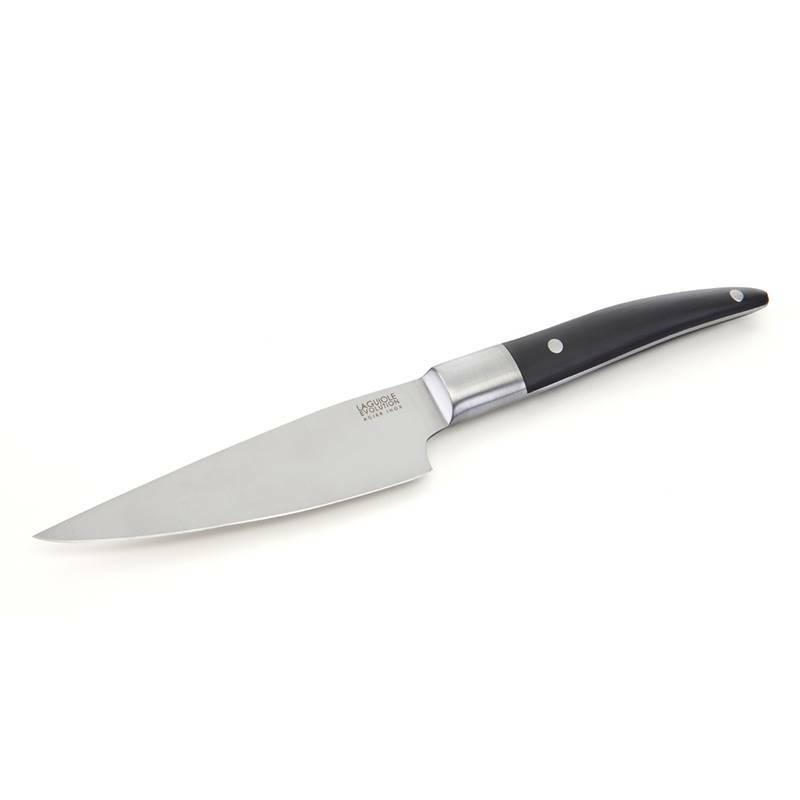 This professional knife has been created by the Design and Creation department of Tarrerias-Bonjean’s company that adapts its products to cooks’ needs. 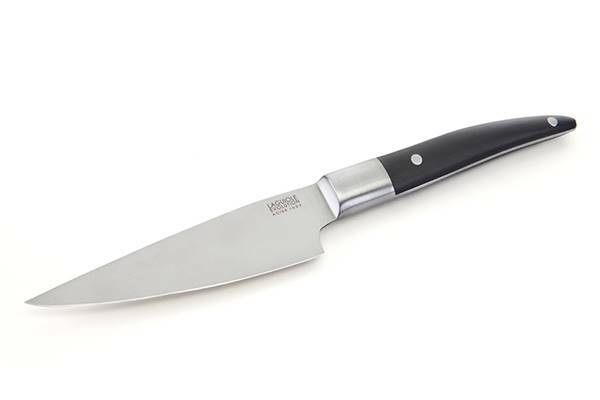 This revisited Laguiole knife perfectly cuts all vegetables and meat. 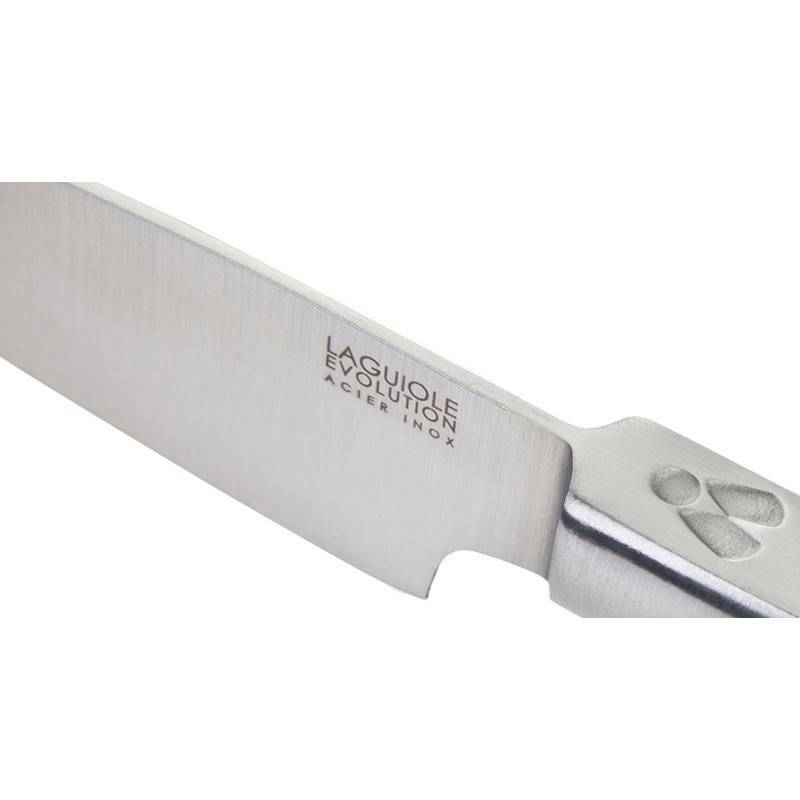 The13cm Laguiole Expression slicing knife is a wonderful gift to make to any passionate cook as the blade can be personalised by laser engraving with a personal message up to 30 characters.